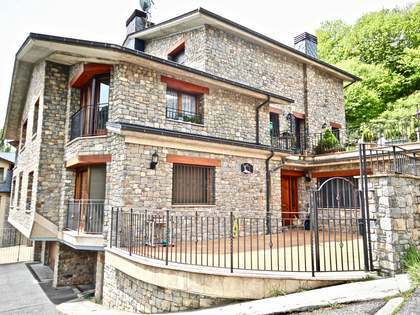 Impressive new villa of 550 m² located on a plot of 491 m², located in one of the best residential areas in La Massana, Anyós. The house is arranged on 4 floors connected to each other with an lift and stairs. Its south-west orientation offers sunlight for much of the day and panoramic views of the valley. 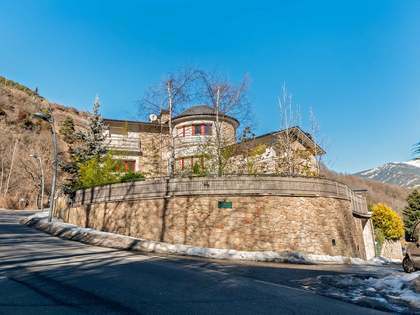 The ground floor offers a 125 m² 6-car garage, a spacious lobby, access to the spa area (ready to be installed), ski storage and machine room. The first floor houses a large living-dining room, with pre-installation for a fireplace, which has large windows leading to the 235 m² garden. The kitchen is 32 m², in a modern style and with an island, fully equipped with high end appliances and has access to a pantry and utility room. This floor also has a guest bathroom. The second floor has 4 double bedrooms, 2 of which have private bathroom, and 1 complete bathroom. All bedrooms have large fitted wardrobes made with high quality carpentry and access to the balcony with panoramic views. In addition, this floor offers a beautiful garden of 62 m². The upper floor consists of an open-plan loft room, with the possibility of converting it into a living room, bedroom or games room. There is also a double bedroom and a complete bathroom on this level. The high ceilings and large windows make this space one of the highlights of the house. 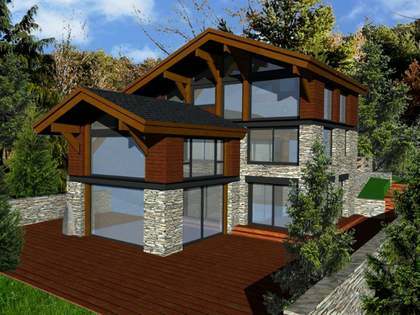 The ideal home as a first residence for a family wishing to enjoy the natural surroundings. 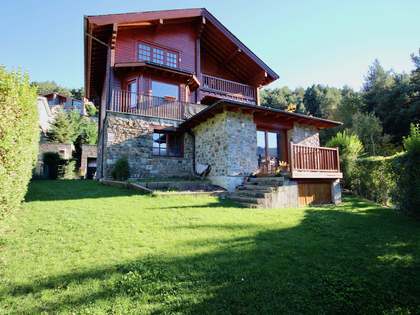 The villa is situated in a natural environment, in one of the best residential areas of La Massana, Anyós. 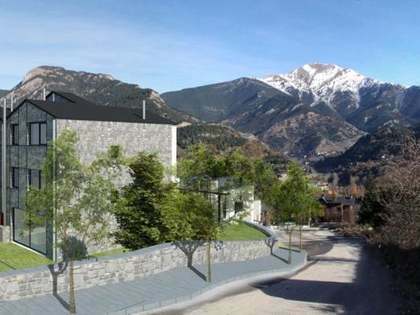 Just 5 minutes from the centre of the village and about 10 minutes from the capital, Andorra la Vella.